What to get for the person who has everything? It’s obvious: a gift certificate from C4A will be the right size and color, won’t spoil or dry out, and the benefits will last a lifetime! 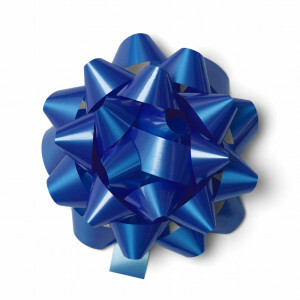 We will provide a personalized gift certificate at no extra cost so you will have something to wrap up and present. Choose from the list below or ask us to create a gift certificate to your specifications. Lessons: Any amount of time you wish to give; $25 for each 30 minute block. (One hour of lessons would be $50; 10 half-hour lessons would be $250) We teach accordion, banjo, bass, cello, clarinet, drums, guitar, mandolin, pedal steel, piano, sax, ukulele, viola, violin, and voice. You may also get lessons in flow arts. Classes: Our 6-week sessions are $100. Here is a list of our classes. Performance Ensembles: Our 12-week sessions are $150. We offer multiple music ensembles for kids, adults, beginners, and those with fairly advanced skills. We also offer flow arts for all ages. Here is a list of our ensembles. Give a C4A membership. When you make a membership donation in someone’s honor we’ll recognize them on our website, in our concert programs, and on the C4A members’ board. With a gift of a certain amount their name will become a permanent part of the C4A lobby! And, as if that’s not great enough, your donation is deductible! Here is more information about our membership levels. It’s best to order your certificate early for your own peace of mind, but we will accept last-minute. You may use PayPal to pay for your gift and we’ll email a certificate that you can print. Don’t see what you hoped you’d find? Contact us. We can probably work something out for you.